In 2007, Obama embarked on his campaign, promoting issues such as transparency of government and health for all. 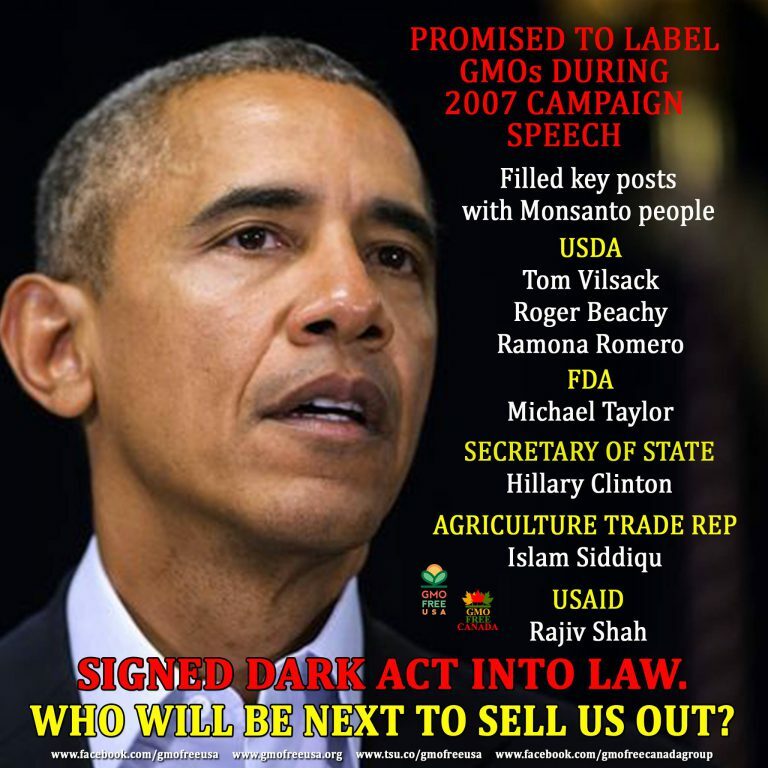 Obama publicly declared that if elected he would make sure that genetically modified foods are labeled as such. So he did or was it just a bit of political rhetoric we are now accustomed to seeing and hearing? ‘food stamp recipients did not cause the financial crisis; Wall Street’s recklessness made, “Obama said in his final State of the Union. 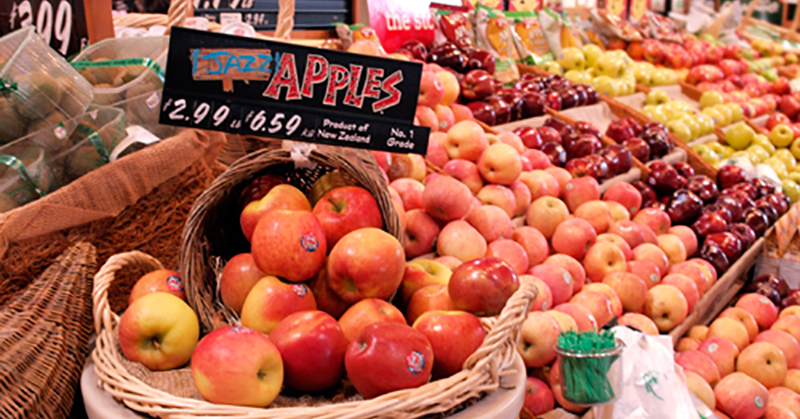 Barack Obama has signed a bill that eliminates the need for the labeling of GMOs. The bill, S. 764, also referred to the Law of dark, is so riddled with gaps and alleys that, in theory, access genetically modified foods to slip through the radar without notice. Despite his campaign promises, Obama has signed this bill, as consumerist.com reports. Obama said that “transparency”, but even his own supporters knew little of what was really going on. As soon as I took office, Obama began to shore up the food administrative departments with former Monsanto executives and other key people. Unfortunately, in politics, we see it all the time. Every promise of real change by someone who is not owned by the banking and corporate elites is stifled by legislation and intervention in its efforts to put words into action. From the start the political process is manipulated to ensure only pre-chosen few get to the final, which took place in such a way that makes it seem as participant. Large sums of money raised by the campaign is to support the political theater of the media and to distract all of what is really going on. can be wild dream, but here’s a scenario. Imagine if everyone entitled, who are registered to vote, burned their registration cards in protest of this policy mockery? What if I had a choice of votes less? Unfortunately, the reality is that this kind of thinking makes more people angry with the message that in the terrible situation is addressed. If you enjoyed reading this article and want to see more like this, I would be honored if you want to help us spread the word and share it with your friends and family. Join us in our quest to promote free, useful information for everyone!